–The RuleBook Guru has decided to do a guest post for the fans of Through The Fence Baseball and we are excited to have him! He started off as a baseball coach of 15 years that evolved into an umpire in 1997. 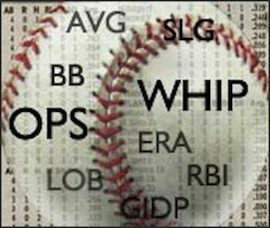 The Guru has a fine Blog and Website that he has set up so that coaches from around the world can learn the finer points of baseball rules. In addition, he shares the enthuasism that Through The Fence Baseball shares and his love for baseball has never stopped. The RuleBook Guru can be found on Twitter and Facebook, so make sure you join him there! Ok, you probably expect something more from an Umpire, right? We are the arbitrators that have been chosen to solemnly uphold all the rules in The Book (The Official Rules of Major League Baseball – not the one that many people talk about on Sunday mornings). The last thing we are going to put up with is cheating. (And no, this isn’t going to be a rocket-science discussion on how corking the bat might not improve hitting as detailed in The Physics of Baseball). Well, you are partially right. Our job is to uphold the rules and impose any penalties that the situation calls for. But there is cheating, and there is Cheating. Surely I’m not condoning that there is a grayish line and some cheating is ok and some isn’t, am I? Of course not! But in my mind, anything that is covered in the rulebook is, by definition¸ not cheating. A batter is out for illegal action when—He uses or attempts to use a bat that, in the umpire’s judgment, has been altered or tampered with in such a way to improve the distance factor or cause an unusual reaction on the baseball. This includes, bats that are filled, flat-surfaced, nailed, hollowed, grooved or covered with a substance such as paraffin, wax, etc. No advancement on the bases will be allowed and any out or outs made during a play shall stand. Why is this one different than all the rest? Is it because it says the word “illegal” right in the rule? Well, part (a) of the rule covers hitting a ball with a foot outside the batter’s box and part (c) interfering with the catcher. I don’t think most people equate those with “cheaters”. Is it because the batter knew, and it wasn’t accidental? First of all, the batter may not have known. I’ve heard of coaches corking bats for their players to use in practice to give them confidence. If in the middle of a game they crack their bat and someone hands them one from the dugout they may have accidentally been given a corked one (farfetched? Bucky Dent allegedly was given a corked bat after breaking his bat fouling off a pitch just prior to hitting the home run that ended up being the difference in the 1978 Red Sox-Yankees one game playoff). Even if this is intentional, what about the other ones? When a pitcher balks, isn’t he trying to deceive the runner, and hopes to get away with it without the Umpiring noticing? Can batting out of turn not be used to skip over a weak hitter in the lineup. What about diving for a ball, trapping it, and then holding it triumphantly in your hand to show the world you caught it cleanly? Or not getting hit by a pitch and wincing around in pain to get a free base (Yes, I’m talking to you Derek Jeter). Are any of these things cheating? If they are, then so is corking a bat. Or rubbing Vaseline on a baseball. But you can’t arbitrarily decide some of these are cheating, and some are not. As an umpire, I do NOT deal with cheating. If an ineligible player is playing in a game, it is not up to me to police it or do anything about it. A tournament director or other league official needs to take care of that – and that is cheating. If a player balks or uses a corked bat, I enforce the rule in the rulebook and impose the penalty stated. I’ve heard sportswriters use the “but he used a corked bat” argument to keep from voting someone for the hall of fame. But I’ve never heard them say “but he balked and therefore is a cheater”. They’re the same – covered in the same rule book and with similar consequences. Your turn – tell me why you disagree in the comments. Great post, Blue, and your point is well-taken. However, it appears bat-corking is differentiated from your other examples with this addendum per The Book: “In addition to being called out, the player shall be ejected from the game and may be subject to additional penalties as determined by his League President.” With balks, batting out of turn, and using uniform improperly to field the ball, there are no inherent or potential disciplinary repercussions extending beyond the game. While there is the possibility inadvertent use of a corked bat, knowing use requires greater premeditation and planning than the various other infractions mentioned. Once the umpire has enforced the rule on the field, is it perhaps up to the League office to determine (based on the penalty imposed) whether a particular incident consitutes “cheating”?